​While both New York fanbases ​clamor for Dallas Keuchel to either patch over their Jason Vargas-shaped hole or help man the triage tent and re-wrap a million busted shoulders, there's probably a more likely landing spot than Queens or the Bronx. Yeah, it's that suddenly-good West Coast team that's taking everybody. 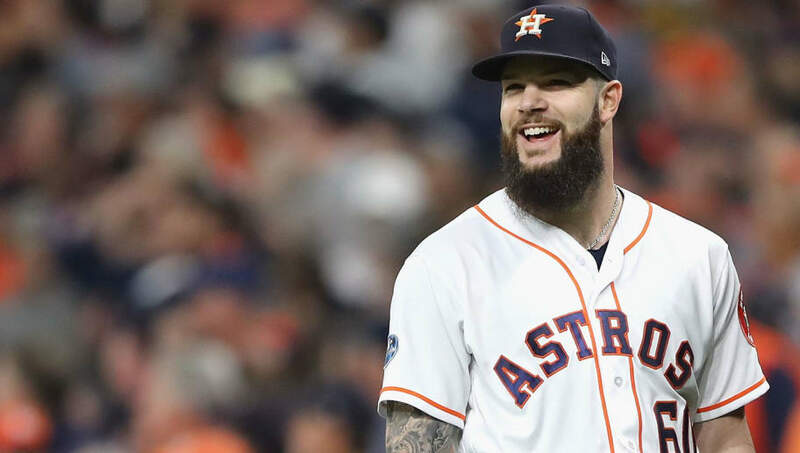 According to the latest Keuchel chatter, he's now open to a one-year deal in order to get back on the mound before midsummer, and the spacious grounds in San Diego might be a perfect fit. ​​Think about it: Keuchel inducing soft contact in a big ballpark, mentoring Chris Paddack and Nick Margevicius, and -- oh, yeah -- having a genuine chance at the postseason. Sign him up, even if only for a few months. The rest of the world may try to stop this marriage from taking place, but based on the loud, caterwauling whines from ​Mets fans across America, their administration isn't trying terribly hard to get in the way of Keuchel moving elsewhere. ​​Don't write it in ink, but definitely mark it in pencil: Dallas Keuchel would look good in the NL West.